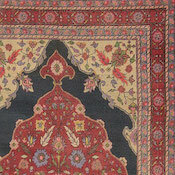 The eastern and central regions of the Turkish Anatolian peninsula were host to a wide variety of tribal carpet traditions. Throughout the 19th century and beginning of the 20th century, peoples of Turkish, Armenian and Kurdish origin were all active producers in the mountainous, sparsely populated districts, where conditions of isolation and cultural concentration have led to highly distinctive regional styles. In construction, color and artistry, these folk art traditions have much in common with styles from the neighboring Caucasus. 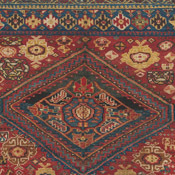 Turkish tribal weavings from the 19th century often incorporate asymmetry and a striking use of vivid, evocative natural dyes, intensified by elemental, open designs. Ladik carpets are known for their prolific use of the prayer rug format and the best pieces offer a stunning deep rose to burgundy tone created using rare cochineal dye from Kerkes beetles imported from the West Indies. 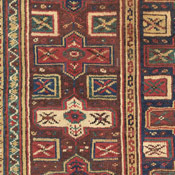 Turkish Yuruk pieces were woven by nomadic peoples throughout the Anatolian region. They incorporate soft, lustrous wool of notably high quality, a direct link to their weavers’ ancestral sheep herding culture. Yuruk rugs are loosely woven and are often delightfully idiosyncratic in design. 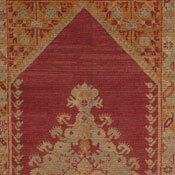 Turkish Melas rugs are traditionally more refined, with clearly rendered, strongly geometric compositions. 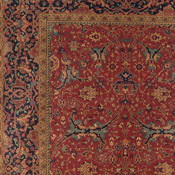 Whether in the Prayer Rug or medallion format they are famous for their spectacular lighter and mid-tone greens. 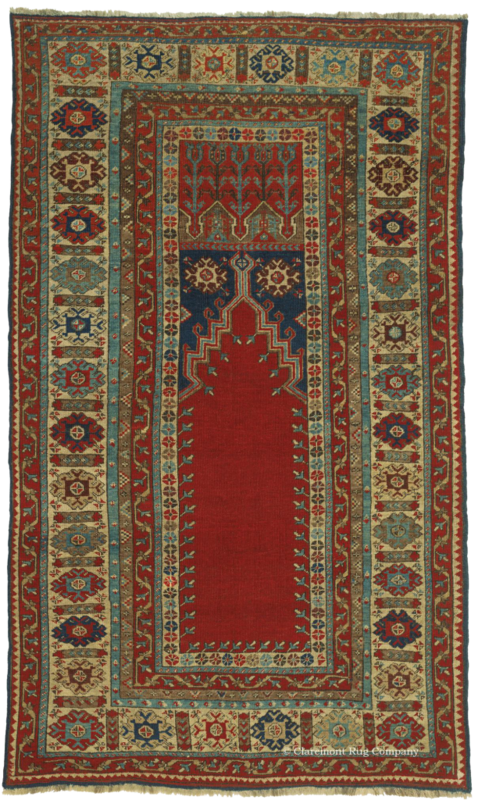 Bergama rugs often feature dramatic multi-medallion designs and the best pieces from the first three-quarters of the 19th century enjoy an enthusiastic following among seasoned collectors. 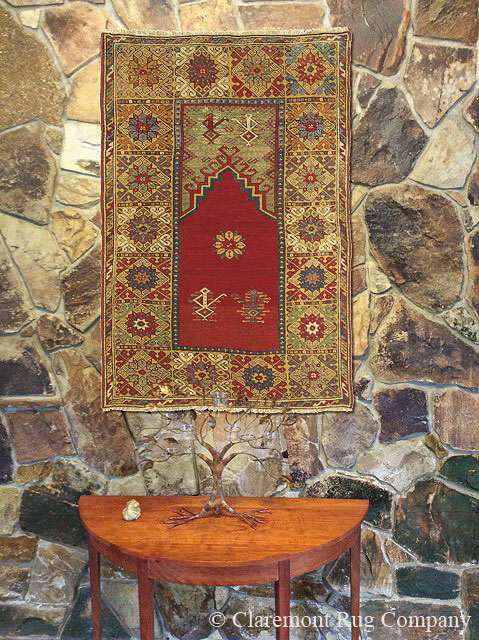 Turkish Mudjur are usually the most formal, finely crafted of Turkish town rugs and are known for their prayer design with either unadorned, madder red fields or those using blossoming “tree-of-life” or lantern motifs. 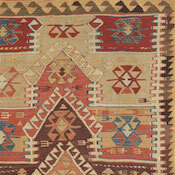 Turkish tribal rugs of all traditions are predominantly found in the area size format.